It would be great if we could look into our crystal balls and see exactly how much gold was going to be worth by the end of 2019. Unfortunately, no matter how good you are at reading the market, the chances are that you still can’t predict the future. However, people often underestimate how valuable it can be to simply look back and use what you’ve learned over the years gone by to inform your decisions for the future. 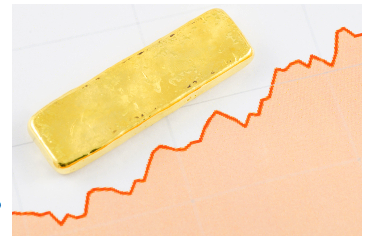 Read our gold price forecast to get a better understanding of how we things will move in the next years. To help you make your own informed predictions for gold pricing in 2019, we’re going to give you a complete rundown of all the expert predictions and insights we saw between 2016 and the end of 2018. See if you can pick up on any trends. When 2018 finally rolled around, the boost in the stock value during January was an impressive shock for many of the experts around the globe. The markets sprung to record levels, with the FTSE sitting at around 7,724 points, and the S&P500 increasing by 2,747 points. The world economy was even outperforming predictions by 4%. This was the first time we saw an outperformance since 2010. The Daily Telegraph newspaper introduced a positive looking outlook for investors, showcasing that most of the years that had a high global stock price rise in January also saw prices continuing to rise throughout the rest of the year. Other leaders like Business Insider agreed with this input, suggesting that stocks had the power to rise by at least another 100 points over the 12 months leading to 2019. However, while the increase in value for stocks spells good things for the world economy, it doesn’t always mean positive tidings for the gold market. As stock markets begin to do better, the demand for gold begins to drop off. However, a Reuters article from 2017 suggested that even though the stock prices had risen in 2017, the demand for gold had remained too, as people aimed to protect themselves from a market crash. Of course, even if the success of stocks doesn’t end up knocking the price of gold down, there’s always the concern that the increased strength of currency could lead to the same results. In 2018, many experts were also worrying about the fluctuating value of the US dollar, which began to rise in value in January. There were concerns that the federal reserve could lead to increased interest rates in 2018, which would hurt the price of gold again. One positive thing that we remembered in 2018 was that even if USD prices seemed positive, to begin with, there was nothing to say that they would stay that way. The US dollar has a habit of moving up and down in value at a rapid pace – notably as President Trump introduces new tax reforms, infrastructure plans and ideas. In 2018, the US government saw another round of House of Representatives elections, and general uncertainty was enough to bring the dollar’s value back down again. In England, currency concerns were another story entirely. In 2018, while experts were predicting a potential future for gold prices, the Bank of England were already increasing interest rates throughout the country, leading to an improvement in the value of currency. However, the minor currency improvement didn’t do much to reassure any of the financial experts from companies like the Deutsche Bank or Morgan Stanley, who suggested that the GBPvalue would remain somewhat poorfor the foreseeable future. Thisis something that we can see is true in 2019. Another issue in discussion during 2018 was the fact that gold prices had increased after nuclear missile tests began to be carried out by North Korea. Each test saw a new rise in gold prices, and there seemed to be no end in sight for the end of the missile program. All the while, an additional factor appeared in the form of income growth. The world economy was growing in 2018, and India had begun to recover from their government’s radical program in 2016. Gold was seeing new interest from different markets, while the USA AND Germany churned out additional reductions in unemployment rates. Despite some uncertainties along the way, 2018 looked like a good year for gold prices to rise. Now, we’re left wondering what’s next for 2019 that forecasters refer to as “mildly or very bullish.”According to some experts, gold prices could rally by up to 19% in the year ahead. We have added the gold price forecast for the previous years as well so you can get a better perspective of the predictions. Some experts suggest in their gold price forecast that the conditions of 2016 would continue to have an impact on the buying and selling prices going forward, while others felt that the increase in gold prices would be limited by increasing interest rates in the US. Up to three hikes were expectedin 2017 by the time the year had started. Additionally, the RBC predicted that gold would be trading at around $1,245 per ounce in 2017, with the potential to go up to $1,303 in 2018. Industry experts like Goldman Sachs leading analyst Abhinandan Agarwal entered the conversation to say that proposed increases in the US interest rates had the potential to lead to negative results for gold in the coming year. 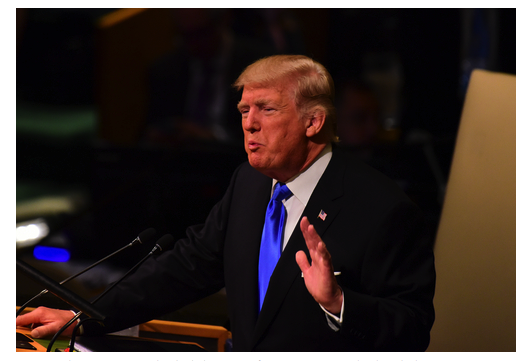 He also believed that the scale of the downturn would potentially be offsetby changing policies in the government implemented by president Donald Trump. Trade barrier policies and differences to border adjustment taxes had the impact to be very damaging for US growth, which meant that people would be turning back to safe havens like gold. James Steel from the HSBC bank agreed with this view, saying that in the long-term the bull market for gold would remain in-tact. He believed that even though there was a lot of fear around an upcoming fiscal cliff in 2017, a slowing Chinese economy and Greece economic catastrophes wouldn’t stop gold’s growth from being positive. Steel also acknowledged that on the CONEX, the net longs had not been shortened, even if the extent of some of those longs had fallen slightly. He believed that the longevity of the bull market wasn’t in question during 2017. Certainly, it seemed that low-interestrates were like to contribute to suggestions such as these back in 2017. People predicted that if the CPI continued to outpace hikes in interest rates, then savers would be pushed to more aggressively search for alternative ways to protect and grow their money in a world where placing moneyin the bank was becoming more of an expense than a benefit. Solidassets like gold certainly had the power to emerge as an attractive alternative to standardsavings. During discussions about possible gold developments, Joni Teves from UBS suggested that there would be an 8% rise in the gold price forecast by the time we entered 2018. He suggestedthat stagnant interest rates would be one of the main reasons for this increase, but he also drew attention to a common believethat the dollar value had begun to peak. Of course, Teves’ views weren’t necessarily shared by everyone who reported their gold predictions for the beginning of 2017. The contributors to the LBMA report suggested that there would be a reduction in the gold price forecast of around 0.5%. The reasons for this drop according to the report would be a rise of positive economic information in the US, including the reduction in the unemployment rate, which had seen a significant dip in January. There was also an increase in positive job data, which had the potential to lead to a fall in value for gold. When people have great jobs, they’re more likely to save than invest in gold. Much of the suggestions offered around changing gold prices in 2017 were dependent on the scale and pace of the interest rate hikes that were set to impact the economy. Rising inflation was also a cause for concern at the time, as if the paceof inflationwas allowed to get out of hand, then investors would have to flock to gold in an effort tomaintain and manage their wealth. Finally, in 2017, some experts suggested that the conditions in Europe were well suited to another rally in gold prices. A steep increase in gold prices in 2016 was aided in part by Britain’s decision to exit the European Union. As populist demands increased around the globe, and new keyelections began to take place in Europe, some experts suggested that more withdrawals from the EU would lead to an even greater opportunity to invest in safe havens like gold. 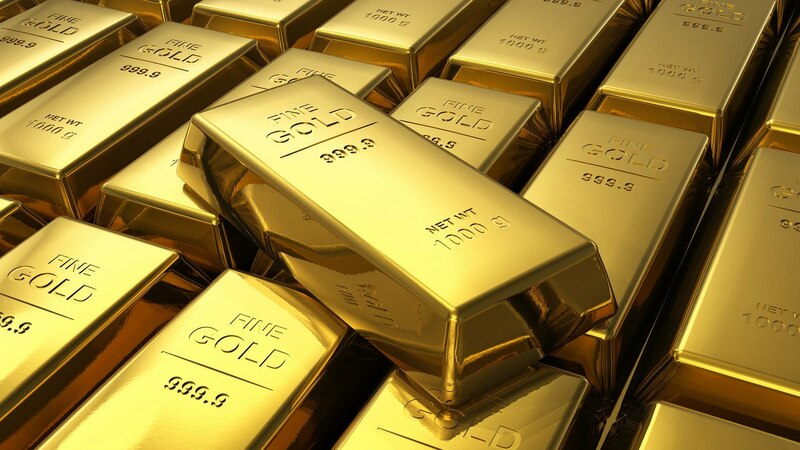 If you are interested in buying gold online you can read more about it on recent published article. We have attached another gold price forecast so you can have a batter overview of the movement of gold price. Let’s start a few years ago in 2016. Although it might seem like a lifetime has passed since then, 2016 was actuallya very interestingtime in gold trading history. The opinion in the marketplace was very divided over what might happen by the time we reached 2017, and there was a general sense of anxiety around the value of gold. Despite this, the valueof the precious metal saw an upturn towards the beginning of the year, increasing by £50 between December 2015 and January 2016. Up until this point, there had been a rathercontinuous drop in gold prices since 2011, which meant that a new boost in prices left a lot of gold buyers and sellers feeling positive about the potential change in the industry. Of course, there were still ongoing issues in the economy to address, which meant that some of the community weren’t willing to welcome a new era of gold just yet. Despite this, UBS predicted an average price for gold of $1,250 at the beginning of the year, which was a hugeimprovement on2015. As the year continued, news from the mining industry supported a positive growth trajectory for gold in 2016, with the president of the world’s largest gold mining organization at the time, Barrick Gold claiming that his business had reached “peak output.”Dushnisky told the press that up until that point, falling grades and production levels along with a lack of new discoveries had led to a bullish market. With the combination of various production problems and broad market turmoil, there was a good chance that 2016 would see prices for gold begin to increase drasticallyas demand increased. After all, gold has always been held as a safe-haven investment – particularlydoing times when the economy is uncertain. Many of the major stock exchanges such as Dow Jones, and FTSE had seen negative years in 2015, and the trend was set to continue in the months ahead. CEO for DoubleLine Capital, Jeff Gundlach took a similar view of the market in 2016, saying that he believed that gold prices would rise by anywhere up to 30% during the year. He stressed the popularity of gold as a diversifying asset for the investor and suggested that this was the reason for the precious metal’s continued growth in a troublesome economic and political environment. He also listed global growth downgrading and the pessimisticperformance of other market commodities as another sign that gold was set to grow.